From Victorian detective stories to modern mysteries, police procedurals to pulp fiction, comic gems to cozy crime, there's something for every festive mood in this must-read collection starring sixty of the world's favourite detectives. Featuring an all-star cast of authors including Isaac Asimov, Mary Higgins Clark, Arthur Conan Doyle, G.K. Chesterton, Colin Dexter, Thomas Hardy, H.R.F. Keating, Ngaio Marsh, John Mortimer, Ellis Peters, Sara Paretsky, Robert Louis Stevenson and - of course - Agatha Christie, this is the biggest and best Christmas crime anthology in print today. 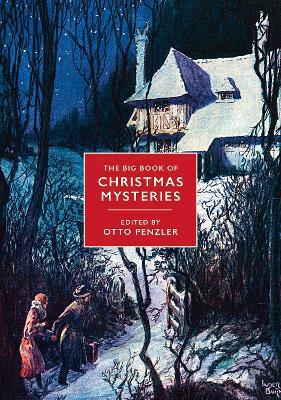 Otto Penzler is the proprietor of the Mysterious Bookshop in New York City, founder of the Mysterious Press, and a two-time Edgar award-winner. He may be reached at www.MysteriousBookshop.com.